This post is part of a series analyzing the ECA presentation at the Carbon County Commission last Monday. Tomorrow: The role of the County Commissioners and where we stand. I hope to have new video for you to view then. Today’s post is rather long, but I’ve tried to present a comprehensive overview of oil and gas legislation in the state. I recommend you bookmark it and save it for future reference. If you haven’t seen it, here’s the video of ECA’s appearance before the County Commission on Monday, September 8. Doug Tucker: I guess if you could explain a little about the regulations. There was some hearsay that there were no regulations on (unintelligible) and obviously there are, so if you could explain that. Seth Nolte: Yeah, so currently we’re regulated by many bodies. Montana Bureau of Oil and Gas is one; the BLM, because we have some federal minerals, the DEQ, the EPA, are all different regulators that kind of monitor us and have to approve many of our permits prior to we drill anything, so we have to send the plan in to the Montana Bureau of Oil and Gas and they have to look over everything in that plan and approve it prior to us doing anything, so we are very well regulated as far as the land side, as far as the air side, as far as just everything. I mean our industry is probably one of the most regulated industries. I’ll look at the rather astounding fact that a County Commissioner asked a junior employee of a regulated company that question tomorrow, but Seth provides the general framework for this analysis. Today I’ll look at regulation by the Montana Board of Oil and Gas Conservation, the Department of Environmental Quality (DEQ), the Bureau of Land Management (BLM) and the Environmental Protection Agency (EPA). Then I’ll consider how, within this framework, local citizen-initiated zoning with the County Commission is necessary. The primary agency regulating oil drilling in Montana is the Board of Oil and Gas Conservation (BOGC), which permits well, offers exemptions and writes rules. To protect the correlative rights of the mineral owners, i.e., the right of each owner to recover its fair share of the oil & gas underlying its lands. That makes it pretty clear. The word “conservation” is not about conserving natural resources, but about conserving oil and gas, and protecting the rights of mineral holders. However, the board “also seeks to prevent oil and gas operations from harming nearby land or underground resources.” It does this in a number of ways, including “establishing spacing units, issuing drilling permits, administering bonds (required to guarantee the eventual proper plugging of wells and restoration of the surface), classifying wells, and adopting rules,” and regulating injection wells. When a company wants to drill a well, the oil & gas operator has to apply for a permit , providing specific data about the company and other required information. BOGC staff performs a technical review of the proposal, which also goes through a public notice and hearing process. Then, the BOGC can issue, modify, or deny the permit; regulate the volume and characteristics of the fluids to be injected; and impose operational requirements or limitations for the well. You can read the BOGC’s rules here. Two of the members shall be landowners from oil producing areas of the state but not actively associated with the oil and gas industry. All are appointed to four year terms by the governor. The first four are appointed when he/she takes office, and the other three are appointed two years later. Now let’s look at the actual well permit for the Belfry well as an example of how this works in real life. In October, 2013 Energy Corporation of America CEO John Mork announced in Billings that his company planned to drill 50 wells along the Beartooth Front in Carbon and Stillwater Counties. He said that hydraulic fracturing technology made this drilling economically feasible. The company filed a permit for its first exploratory well, in Belfry, and a public hearing was scheduled for December 10 at the BOGC offices in Billings. According to the Billings Gazette, Northern Plains Resource Council members had hand-delivered, mailed and faxed notices of a protest to the permit “weeks in advance” of the hearing. 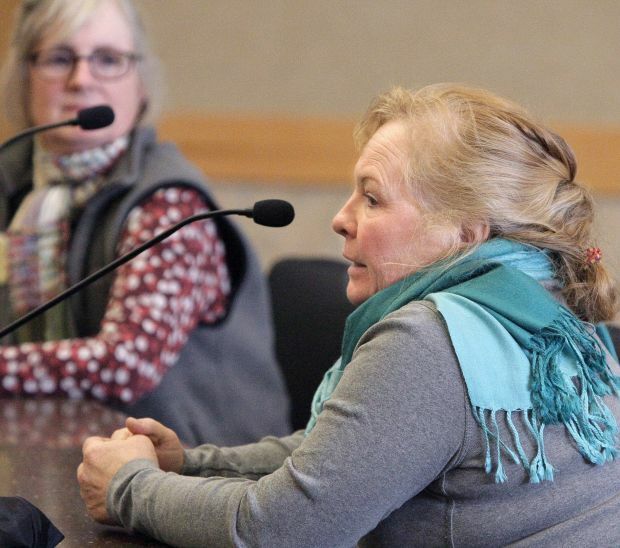 But the hearing was cancelled after the board’s attorney said that Carbon County Resource Council members had failed to file the final document, a “service list,” an official list of the parties they had served. So, their board hearing was canceled and the permit was granted without a hearing by the board’s administrator. Community members were particularly angered by board member and former Sidney mayor Bret Smelser, who lectured them in what they felt was an arrogant way about the importance of oil and gas drilling to the state’s economy, and, as one community member reported, the need to “put up with a few inconveniences” to support US energy independence. It’s worth pointing out that Smelser’s family business, Border Steel and Recycling, has thrived during the Bakken oil boom, expanding to to include three Montana locations in Glendive, Sidney and Plentywood plus one in Williston, ND. And that one of the “inconveniences” Smelser is willing to put up with was a non-functional sewage system caused by illegal waste dumping in Sidney, where Smelser was mayor at the time. Northern Plains Resource Council and Carbon County Resource Council quickly filed suit demanding the permit be revoked and a hearing held. We documented the concern about the introduction of fracking onto the Beartooth Front in this post, which looks in detail at how the local community would be impacted by the permitted well. At the public hearing, several members of the public spoke and asked the board to acknowledge the environmental risks of using hydraulic fracking at the well site, where groundwater was positioned both above and below the shale belt through which ECA intends to drill. Witnesses also asked the board to consider the road dust and soil erosion. They asked that area water be tested throughout the project’s lifespan to assure the water supply wasn’t fouled. There is no stated plan for hydraulic fracturing, yet it is expected. Since there are many environmental risks associated with fracking, and because this well is located in a populated area, it makes sense to ask the permit to be modified to include a hydraulic fracturing plan. Such a plan should include such information as fracturing fluid makeup, source water options for millions of gallons of water, disposal plans to fracturing liquids and flowback, and use of production and associated waste pits. Use of pits is antiquated, is not needed, and presents substantial risks. The BOGC should require that ECA use a closed loop system does not include a reserve pit or on-site evaporation and disposal of wastes. Further, calculations should be included to demonstrate that any in ground waste storage pits, if used, are designed to meet all emergency rainfall and snowmelt volumes, in addition to anticipated maximum waste volumes for the proposed vertical well and the horizontal well. Solid wastes should not be allowed to remain in the pits permanently because of the porous soils, shallow groundwater and widespread use of irrigation water that will still be used to grow crops. There is no plan for management of exploration and production (E&P) waste associated with the well. The BOGC should require an amended Application for Permit to describe the plan for proper management of all of these associated E&P wastes and require closed loop systems. Groundwater risks are not fully defined. The application misidentifies the locations and distance of water wells from the drilling site. There needs to be a new groundwater use map that illustrates the horizontal well component, and identifies all wells within a one-mile radius of any portion of the vertical and horizontal component, as well as any regional aquifers that might exist, and any springs. ECA has a recent history of non-compliance drilling in Pennsylvania and West Virginia. This is something that has been well documented on this site, and is easily available in the public record. In Pennsylvania, ECA has been cited in 66 inspections, with 90 separate violations, and 55 enforcement actions. The violations have been for pit failures, methane migration from failed seals, unpermitted discharges to surface water, stream crossings without a permit, erosional control deficiencies, operational deficiencies, and failure to properly close sites. The consultant made a number of recommendations for changes in design of the well, for industry best practices to be followed in well design, and for the use of more advanced technology than was being proposed at the site. As you read through the public and expert testimony, you can see that these are real property owners who have legitimate concerns and are asking for help from the state. They’re not trying to stop drilling; they’re trying to preserve their property, their water supplies, and their ability to make a living. They’re asking the BOGC to take action to protect Montana citizens, as they are empowered to do. So what did the BOGC do? Well, they completely ignored all the public and expert input, and went ahead and approved the permit as submitted, without any discussion, by a 6-1 vote, with Peggy Nerud dissenting. Tom Richmond, BOGC administrator at the time, said there was nothing exceptional about the Belfry well. 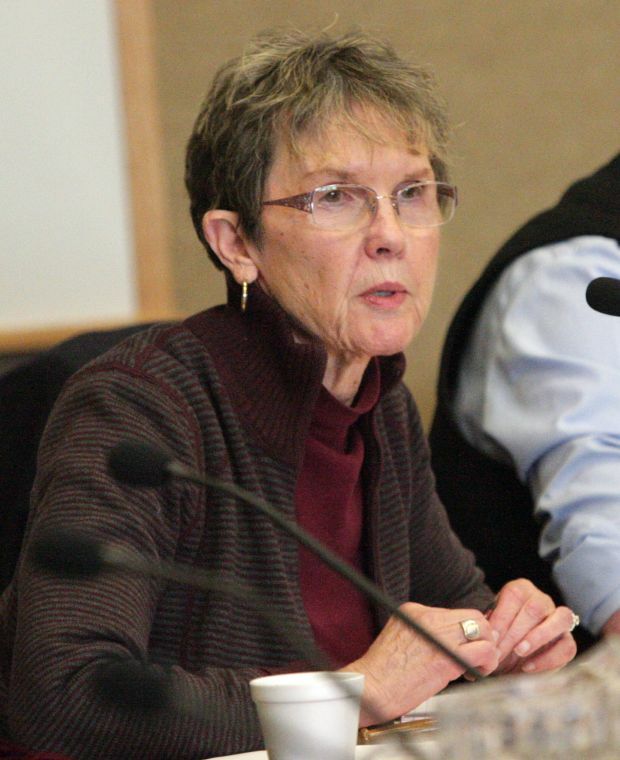 “The ECA permit proposes drilling a wildcat well, much like the other 35,000 wildcat wells drilled in Montana that have produced oil and gas over the years,” Richmond said. (a) the written information describing the fracturing, acidizing, or other chemical treatment must be provided to the board’s staff at least 48 hours before commencement of well stimulation activities. In other words, the BOGC treated this like any other well permit, knowing that public concerns about hydraulic fracturing are legitimate and that fracking is highly likely to occur. Members of the public later called the experience “exasperating.” The BOGC board didn’t even make a show of honoring public input. The body language of the members, which included walking out during testimony, turning away from the presenters and eye rolling, was exaggerated and offensive. In retrospect, we can see this playing out as we expected. ECA has filed an “intent to perforate” the well, a precursor to fracking, as indicated below. You can find the notice by clicking on the graphic. The BOGC is the fox guarding the henhouse. The board cannot serve two conflicting interests. Its primary mission to maximize the profits of the oil and gas industry and mineral rights holders. If it does that, the interests of surface rights holders, like those in the Silvertip area, to protect their property values and conserve water cannot be supported. The BOGC does not have the resources to protect the safety of citizens of Montana even if it had the inclination. Right now the BOGC has only seven inspectors for the entire state — two in Billings, two in Shelby, and one each in Miles City, Sidney and Plentywood. According to the a study done by the Western Organization of Resource Councils (WORC), this number has grown by only one inspector since 1999. while the number of active wells in Montana has grown by 54% during that time. Enforcement is also a problem. While the number of violations issued by Montana state inspectors more than doubled from 2004-2011, there’s no teeth in it. According to the WORC study, there were only 26 fines issued in the state over the four-year period from 2007-2010, with total fines issued of $18,950 over those four years. By comparison, keep in mind that ECA alone received 90 citations in Pennsylvania with fines over $80,000. This is the key reason why the Silvertip Zone is a necessity. With three BOGC members coming from the oil and gas industry and another a mineral rights holder, you start with four votes from members who have a financial interest in the expansion of oil and gas drilling. 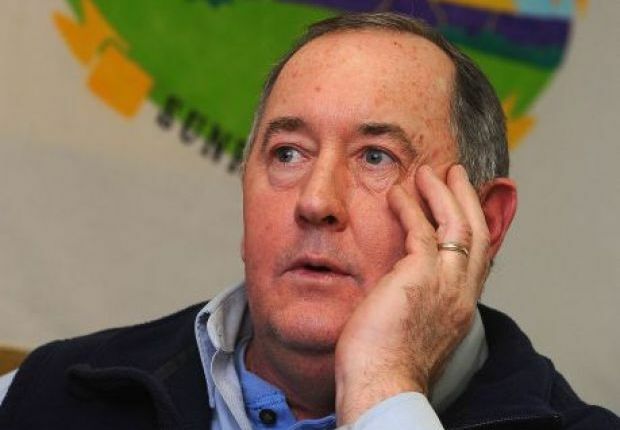 If the governor is not careful in the appointment of the other three, there is a danger of a runaway board that acts only in the interest of the industry. The Silvertip landowners have a legitimate right to form a zone to protect their rights, and they have reason to believe that, absent a zone, their rights will be violated. The Department of Environmental Quality (DEQ) plays a minor role in oil regulation. The agency requires an air quality permit from oil and gas wells, but it is up to the operator to decide if a well meets the minimum emission requirement for a permit. “The air quality operation fee for…registered oil and gas well facilities is based on the actual, or estimated actual, amount of air pollutants emitted by the facility during the previous calendar year and is an administrative fee of $800, plus $38.24 per ton of PM-10 (particulate matter), sulfur dioxide, lead, oxides of nitrogen, and volatile organic compounds emitted.” It is up to the operator to determine whether it meets the minimum requirements for emissions. 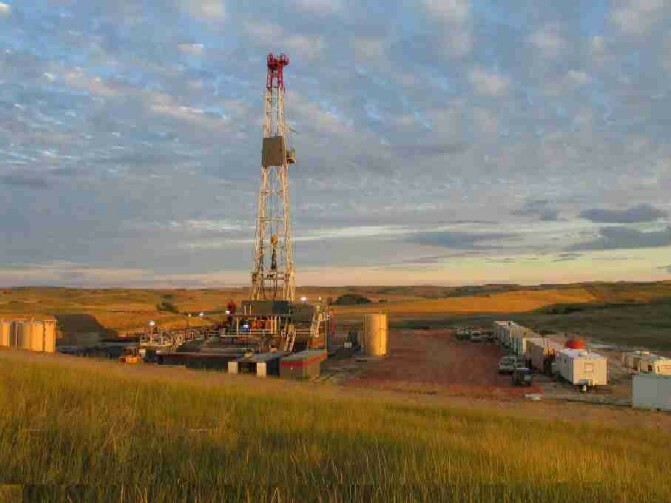 According to Northern Plains Resource Council, ECA has not applied for either permit in Carbon or Stillwater County, but other drilling rigs in eastern Montana usually do. Releases or spills of hazardous substances in amounts that meet or exceed the reportable quantities in 40 CFR Part 302. Notification to DES and NRC is required. Spills, overfills, and suspected releases from underground storage tanks and petroleum storage tanks. ARM 17.56.501, et seq. Releases or spills of any materials that would lower the quality of groundwater below water quality standards. ARM 17.30.1045. Spills of twenty-five (25) gallons or more of any petroleum product such as: crude oil, gasoline, diesel fuel, aviation fuel, asphalt, road oil, kerosene, fuel oil; produced water, injection water, or combination thereof; and derivatives of mineral, animal, or vegetable oils. These regulations are all administrative. Clearly there are few landowner protections in built into DEQ requirements. The EPA does not regulate oil and gas wells, although it does get involved if there is a big enough accident that the state cannot handle it on its own. The EPA is charged with monitoring injection wells, but, as we’ve seen, the agency does not have the resources to do this job. Montana law provides a way for local communities to take action to protect themselves in ways that other regulation does not. While you can’t keep mineral rights holders from getting oil out of the ground, they can be constrained by conditions imposed by local governments. Montana counties and municipalities have authority to create special zoning districts that can impose rules for extraction activities. After the County Commission receives the petitions, it forms a planning and zoning commission. This is a seven member oversight board that reviews the zoning petition and recommends how it should be implemented, and holds a public meeting to determine whether the zone is in the “public interest and convenience.” If so, the zone is established. This method has been used in Montana in the past to manage mineral extraction. The landowners in the Silvertip District have followed steps 1-5, and it is now up to the County Commissioners to form a planning and zoning commission to consider the request. Tomorrow: The role of the County Commission and where we stand today. How are people like Smelser able to sleep at night, then face people who know what they are….??? How does one grow up to be a Bret Smelser, ignoring the common sense advice of informed individuals……….? I continue to be stunned by this. If ECA wants to be a good citizen… why not publicly adopt the American Petroleum Institute’s best practices policies? Why not declare that the company will confirm to the clean water act even though frackers are exempt? Why not reinvest in the community instead of donating money to some foundation that provides scholarships to private schools (and there are exactly NONE in Stillwater and Carbon counties). It is stunning to me that elected officials feel so little obligation to research the regulations governing tracking and so little determination to protect the treasures of Montana (the rivers, the air, the mountains). serving as a lackey for industry, NOT the People.